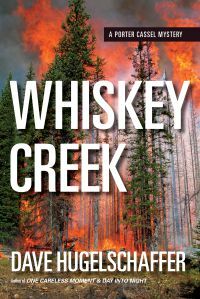 In the third book of this unique mystery series, based on forest fires and the crimes they conceal, Porter is sent to investigate a series of wildfires caused by Molotov cocktails in the vicinity of the isolated community of Fort Chipewyan, in northern Alberta. While investigating this serial arson, a trapper is found dead in the burned remnants of his cabin. The RCMP feel the trapper's death was accidental but Porter has reason to believe it was murder. Unknown to Porter, locals involved in the crimes begin a campaign of character assassination against Porter which results in his removal from both investigations and the destruction of his reputation, both professionally and personally.